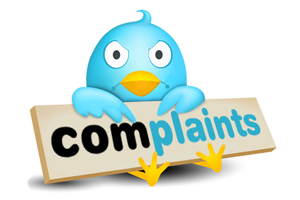 Golden Coast / News & Offers / Sales & Marketing / Blog / How to deal with customer complaints on social media. Wet leisure businesses have traditionally been very fond of word of mouth advertising to spread the name and good reputation of their business. Perhaps that is why so many of them have embraced social media as the modern, digital form of that. Successful word of mouth advertising depends on people saying good things about your business and sharing those stories with others. But what happens when you get a complaint? In the old days, someone with a complaint would bring it to you and it could be discussed in private and hopefully sorted out. What might possibly happen in this day and age, is that the first you hear that you have a dissatisfied customer is when you – and everyone else – reads about it on your Facebook page or Twitter stream. So how do you handle that situation if it should ever occur? Respond as quickly as you can. If you use social media, you should be monitoring it all the time. In the main, social media is a very ‘positive’ environment where people are keen to share good stories and good news. So when a complaint arises in that space it sticks out like a sore thumb. You need to be seen to respond quickly. Don’t look like you are hiding from the complaint or, worse still, ignoring it. But don’t respond so quickly that you don’t think about what you are saying or how it might be interpreted. Be concerned and be polite. Perhaps the complaint is justified, perhaps it isn’t. The thing is that both the grievance and your response are there for all to see. Sometimes people ‘say’ things in the social media environment that they would never dream of doing face to face. Companies have sometimes responded to customers complaints that have been posted on social media sites with sarcasm, poorly chosen jokes and ridicule and it has always been an enormous error of judgement. If you treat it as if it was an in-store complaint – and remember that there are other customers in the showroom – then you won’t go far wrong. You have the opportunity of not only solving this particular customer’s problem, but also showing everyone else who is listening in that you and your business are concerned about your customers and want them to be happy with the service that you offer. If it is a genuine grievance, then you have an opportunity to improve what you are doing or how you are doing it and make sure other customers don’t have the same problem. How you deal with your customers is probably one of the things that defines your business and being seen to deal quickly, politely and effectively with a complaint can actually make a very positive impression on people.